Two-time Texas Amateur champion Kelly Kraft from Denton added some new hardware to his collection Thursday by winning the 108th Trans-Mississippi Amateur. Am with a final round 66. ﻿﻿﻿Kraft shot a final round 66 at Kansas City Country Club in Kansas City, Mo., to win by four shots with 14-under-par 266. Read about Kraft's historic repeat victory at the Texas Amateur in the current issue of DFW Links and Houston Links magazines. University of Texas junior Dylan Frittelli finished in a tie for second place with Oklahoma State freshman Tanner Kesterson from Plano. Frittelli and Kesterson finished the 72-hole championship at 10-under par 270. Four birdies and a bogey allowed Kraft to make the turn in the final round at 3-under 32 on the course where World Golf Hall of Fame member and eight-time major champion Tom Watson grew up. Kraft birdied Nos. 13 and 14 to get to 15-under, but a bogey on No. 16 narrowed his margin over Fritelli and Kesterson. Kraft, who played his college golf at SMU, steadied himself and parred in to win the prestigious amateur championship. In June, Kraft shot 3-under 285 at Pete Dye’s gorgeous Austin Country Club to hold off Humble’s Garrett Driver at the 102nd Texas Amateur. Kraft also won the 2008 Texas Amateur at Houston Country Club. He joined the likes of Scott Verplank, Mark Brooks, Chip Stewart and Gus Moreland as multiple-time winners of the H.L. Edwards Memorial Trophy. Matt Gilchrest of Southlake, Texas, fired a low-round score of 5-under-par 67 on Thursday to win his first American Junior Golf Association tournament. Gilchrest rallied from a four-shot deficit to win the Genesis Shootout presented by the Valero Texas Open on the Live Course at at Fair Oaks Ranch Golf & Country Club in Fair Oaks Ranch, Texas. 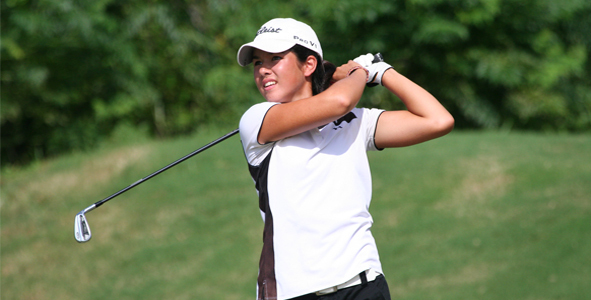 Houston's Kayli Quinton also made the Genesis Shootout her first AJGA victory. She shot a final round 71 and finished at 1-under-par 215. The 54-hole tournament field consisted of 96 boys and 39 girls from eight states and Mexico. The boys played the par-72 course at 6,943 yards. The girls played at 6,197 yards. Gilchrest, who carded six birdies in his final round, said he was overwhelmed with excitement considering this was his first AJGA win. 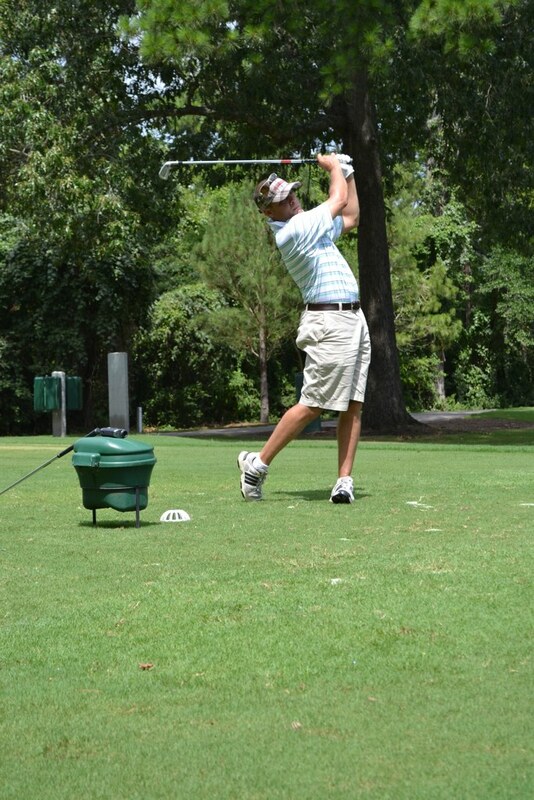 ﻿Eric Ricard of Shreveport, La., finished second after carding a tournament total of 1-under-par 215. Kyle Francis and Kirby Gorzell both of San Antonio tied for third, with an overall total of even-par 216. Tying in fifth with a tournament total of 1-over-par 217 were Brendon Jelley of Tulsa, Okla., Brandon Pierce of Covington, La., Roman Robledo of Harlingen, Texas, Edwin Hyslop of Del Rio, Texas, and Frederick Wedel of The Woodlands. Quinton grabbed early momentum with an eagle on the first hole. She made two birdies on the back nine and won by three shots. Marijosse Navarro of San Antonio, Sierra Sims of Austin, Texas, and Summar Roachell of Conway, Ark., tied for second with a tournament total of 2-over-par 218. How often have you heard that on the golf course? Most who play are aware that you're not supposed to make too much noise. Count 6-year-old Reagan Kennedy among the most courteous golfers of all time. The Bloomington, Ill., junior golfer made a hole-in-one on the 85-yard, par-3 eighth hole at The Links at Ireland Grove last week. How did she celebrate? She quietly walked back to the golf cart and put away her club. According to a story by the Associated Press, Reagan's father had told her not to make any noise on the course. She didn't realize that a hole-in-one is the exception. 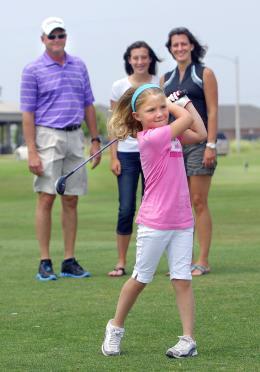 Reagan has been playing golf since she was 2. Now that she has an ace to her name (something this golfer of 25+ years has yet to do), she is moving on to her next goal: Beating her dad. Remember that name: Reagan Kennedy. She might make some noise in this game yet. Earlier this year my boss, the publisher of Texas Links Magazines, started TexasGolfOn.com, a website for discount rounds of golf at some of the best courses in Texas. Today he added the Blue Sky Golf Pass to the expanding list of offers. For $30, you get 65 rounds of golf at 16 North Texas area courses, including Bear Creek, The Bridges, Bridlewood, Buffalo Creek, Champions Circle, Southern Oaks, SugarTree, Robson Ranch, Stewart Peninsula, Trails of Frisco, Whitestone, Willow Springs, WinStar and Woodbridge. The Blue Sky Golf Pass retails for $99 and carries a value of more than $3,700. With TexasGolfOn, you can get the 65 rounds for the ridiculous price of just $30. If you play golf in North Texas, you'd be silly not to jump on this opportunity. It's not going to last forever. Score the great Blue Sky offer by clicking here: http://bit.ly/owLyHg. 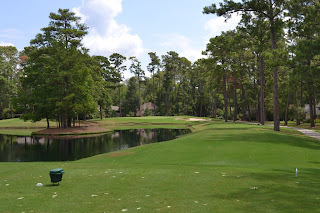 For Houston golfers, TexasGolfOn just added Cypress Lakes to its deal pages. Home of some of the best greens anywhere in the state, Cypress Lakes is a fun, playable track just west of Houston off highway 290 in Cypress. Now you can play Cypress Lakes for just $27.50, which is 50 percent of the regular rate of $55. The big sticks can play it from 7,024 yards, but there are three other sets of tees to accomodate everyone. I like the 6,566-yard tees because I don't hit it far enough, and I like to make birdies. There are tees at 6,136 yards and 5,351 yards, too. For the huge savings at Cypress Lakes, click here: http://bit.ly/onWEAH. Go save yourself some money and chase those birdies. Played golf today with the No. 1-ranked junior golfer in the country for the high school class of 2014. 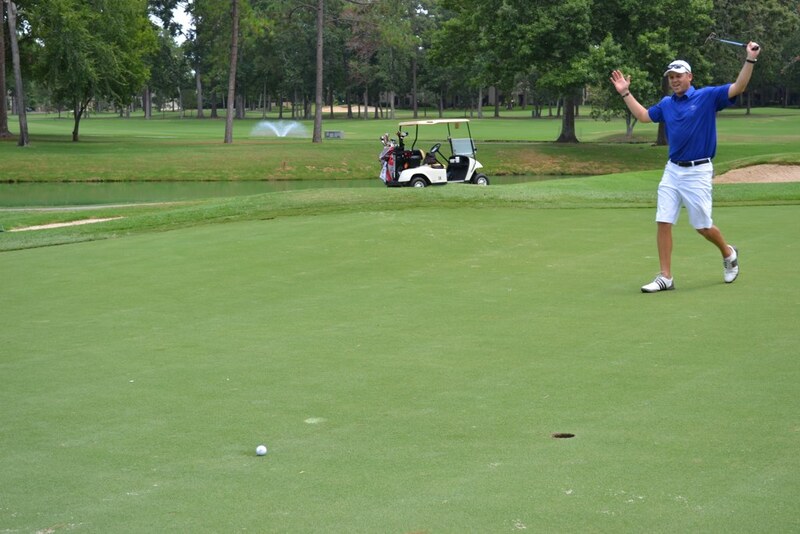 Fifteen-year-old Connor Black played Memorial Park from the tips and shot a ho-hum 73. That’s all of 7,305 yards, by the way. And he did it with 32 putts – an abnormally high amount for him. junior in the U.S. for the class of 2014. We’ll feature Black, who lives in Katy, Texas, prominently in the August issue of Houston Links. Pat Wheeler is working on a story about Dallas junior Scottie Scheffler for the August issue of DFW Links. Black ranks first in the U.S. for boys in the class of 2014 by both Polo/AJGA and Golfweek. He won the Western Junior Amateur last month, only a week after he placed third at the prestigious AJGA’s FootJoy Invitational. He said the competition was a little tougher at the FootJoy, but the win at the Western Junior Am meant more "by far" to him. "I didn't win at the FootJoy," he said. He’s got an interesting story, as he was homeschooled in junior high because it was easier to travel the country playing amateur golf. He changed it up last year and attended Cinco Ranch High School as a freshman … and won seven of the eight high school tournaments he entered. Next year he plans to go back to homeschooling – he missed out on too many coveted national events because of Cinco Ranch’s annoying attendance policies. He will attended Pensacola Christian Academy remotely. He receives his lessons in DVD form and chooses the times he attends school. Sometimes he is "in school" early in the mornings, other times it is in the afternoon. Some weeks he's in school for five days; other times, it's six or even seven days a week. Black has been playing golf since he was 4 years old. He won a U.S. Kids World Championship at age 12 (he took third place in the international championship as a 10-year-old), and he won the Starburst Junior Golf Classic in 2007 as an 11-year-old. past five years to win the U.S. Junior Am. ﻿Besides being blown away at his accuracy off the tee and overall ball-striking, what was interesting about today was Connor’s personality. I’ve covered him a few times – he tied for third at the Houston City Amateur last year – and I’ve always pegged him for a quiet, introverted kid. I couldn’t be more wrong. During our time today, he asked me as many questions as I asked him. He was curious about where I grew up (Kansas), whether or not I played golf in high school or college (no on both counts) and what my other interests were. He wasn’t shy in the least. It was refreshing, and it made the day that much more enjoyable. The kid definitely has a bright future, and it will be fun to watch him continue to grow as a person and a golfer. He’ll tee it up next week at the U.S. Junior Amateur at Gold Mountain Golf Club in Bremerton, Wash.
Texas has had a rich history at the U.S. Junior Am recently. Houston's Cory Whitsett won the national championship in 2007, and Dallas' Jordan Spieth won it in 2009. Connor will attempt to keep the odd-year streak alive for Texas juniors. 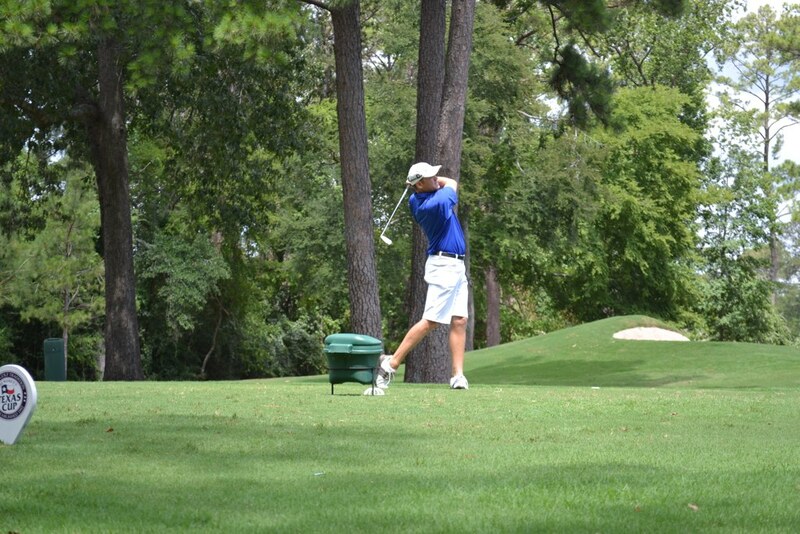 Be sure to check out the August issue of Houston Links to read about this extremely talented young golfer. Every time I see Steve Stricker enjoy success on the PGA Tour, the first person I think of is Steve Timms. Stricker’s improbable birdie-birdie finish Sunday earned him his third consecutive victory at the John Deere Classic. Among the nicest, friendliest guys on Tour (definitely one of the best guys I’ve had the pleasure to meet and interview), the 44-year-old Stricker joined the likes of Jack Nicklaus, Tiger Woods, Arnold Palmer and Tom Watson as players to win the same PGA Tour event three years in a row. Classic for a third straight time. ﻿﻿﻿He shot a final round 2-under 69 today and posted a winning, four-day total of 22-under 262. Next week he’ll try to win his first major championship at the British Open. No doubt, Timms is smiling ear to ear right now. Stricker never shies away from giving Timms, the Houston Golf Association president and CEO and tournament director of the Shell Houston Open, a heaping load of credit for the success Stricker has achieved in the past five years. After winning three times in his first seven years on Tour, Stricker lost his game in 2005. As a result, he lost his PGA Tour card, finishing 162nd on the money list that year. of the Houston Golf Assoc. The next season, he relied on sponsor’s exemptions to get into tournaments and make a living. 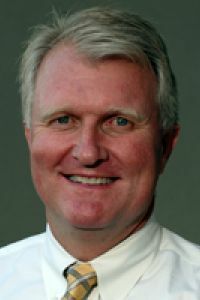 Timms gave one of those coveted exemptions to Stricker for the 2006 SHO, and the Wisconsin native made the most of it. He shot 65-66 on the weekend and finished in the top 10. The confidence gained propelled Stricker to six more top 10s in 2006; he won the first of his two PGA Tour Comeback Player of the Year Awards. When Timms made the decision to offer the exemption, Stricker was ranked 331st in the world. Before his win Sunday, Stricker ranked fifth in the world. He's won eight times since Timms helped him in 2006. "It all got started here (in Houston), and it kick-started my good play," Stricker said in 2008. "I gained a lot of confidence from this event a couple years ago and have kind of rolled with it since, and this place means a lot." A win for Steve Stricker is a victory for Steve Timms. Two of the nicest guys in the world of golf. Just in case anyone got the wrong idea about the column I wrote here on Friday (Blaming Jordan Spieth), I felt I might explain myself. The column was supposed to be funny. I don’t blame Jordan Spieth for anything except making my job exceptionally fun every time I get to watch him play golf and write about his accomplishments. In my seven-plus years of covering golf exclusively in Texas, no amateur golfer has impressed me more -- on and off the golf course -- than Spieth. It’s really not even close. The fact that he calls me Mr. Button only shows his solid character and upbringing. The best junior golfer I’ve ever seen play is also the most respectful and humble. I guess if I really had to document one complaint about the future PGA Tour star, it would be that I was unable to convince him to play his college golf at the University of Kansas, my alma mater. I wouldn’t bet against Spieth leading the University of Texas to multiple national championships in the next few years. He did promise me once that whenever Kansas plays Kansas State in basketball, he’ll root for the Jayhawks. - Mark Button, Texas Links Magazines. I don't feel any older ... but that's probably because I've been feeling old for a while now. I've been covering Jordan -- the teenager from Dallas who won the 2009 U.S. Junior Amateur, finished in the top-20 in the PGA Tour's 2010 HP Byron Nelson Championship and who made a run at a top-25 finish again there this year -- for more than three years now. I first saw him play at a 2009 AJGA event at Carlton Woods in The Woodlands. He was 14 or 15 years old back then, and he had serious game. Skinny as a rail but flexible as rubber, he pounded the ball 280+ and seemed to have almost complete control of his irons. Plus he made nearly every putt he looked at that weekend. It wasn't his golf game that stuck with me in the weeks that followed, however. What really impressed me that first time I covered him was his composure. He lost in a playoff that year, so he had to be upset about it. Not too long after that first interview, I saw him again and asked him to start writing a bi-monthly junior golf column for DFW Links and Houston Links magazines. We did that column together for two years, and it always was fun for me to talk with him, pick his brain and push him to write introspectively about his life, golf, school and whatever else was on his mind. ﻿﻿What bugged me about him -- and still does -- was that he always called me "Mr. Button" when we talked. That REALLY made me feel old. I hated it, and I still do. I really don't blame Jordan (well, maybe a little bit). He's such a well-mannered kid, and he is just trying to be respectful ... to his elders. It's an admirable quality. I get that. I just don't like the implication. Which is: I'm old. It's easy to see he was raised by great parents. His mom, Chris, and father, Shawn, are shining examples of how to raise any child, regardless of atheltic talent. Still, the fact that Jordan always refers me to Mr. Button ticks me off. I'd tell him time and again to call me Mark, and he would say, "Yes, sir." Then the next time I saw him, it was: "Hey, Mr. Button." Mr. Button is my dad. All of this came back to mind yesterday when I was editing Texas Golf Association president Rob Addington's monthly column for our magazines. Rob wrote about the HP Byron Nelson Junior (which Jordan won three straight times from 2008-2010), and he commented how golf produces such well-mannered, respectful kids who turn into responsible young adults. Rob wrote that he, too, was bugged by the fact that those juniors call him "Mr. Addington" and not "Rob." So it was nice to know that I'm not the only one who feels old today. Thanks for reading. Hope everyone has a great weekend. 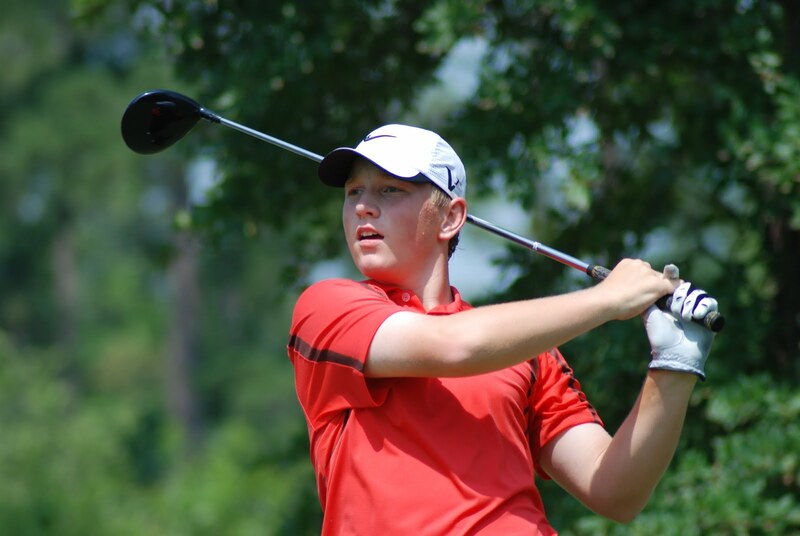 Katy’s Connor Black and McKinney’s Brad Dalke headline the AJGA’s West Team for the 2011 Wyndham Cup, which will take place July 25-28 at Eagle Point Golf Club in Wilmington, N.C. The annual AJGA East vs. West tradition since 1990 pits 20-player teams (10 boys, 10 girls) from east and west of the Mississippi River against each other in match play. Riding a six-match winning streak, the West leads the series 12-8-1 and will look to make it seven-straight victories behind the experience of five Wyndham Cup veterans. AJ McInerney of Henderson, Nev., is the only boy returning from last year’s team, while four veterans will anchor the West girls: Kyung Kim of Chandler, Ariz.; Tiffany Lim of San Jose, Calif.; Kristen Park of Buena Park, Calif.; and Lindsey Weaver of Scottsdale, Ariz. Both Dalke and Black enter the competition riding the momentum of recent major victories. Black, 15, won the Western Junior Amateur in June at historic Beverly Country Club in Chicago. He is the No. 1-ranked junior in the high school class of 2013. Dalke in May became the youngest Invitational champion in AJGA history (13 years, 9 months and 11 days) by winning the prestigious Thunderbird Invitational. Dalke made national news last year by giving his verbal commitment to the University of Oklahoma two days before his 13th birthday. The three-day Wyndham Cup will feature five match play formats: four-ball, mixed four-ball, foursomes, mixed-foursomes and singles. Notable past players from the East Team include Stewart Cink, Matt Kuchar, Charles Howell III, Cristie Kerr and Morgan Pressel. Past participants from the West include Tiger Woods, Hunter Mahan, Rickie Fowler, Grace Park and Paula Creamer. 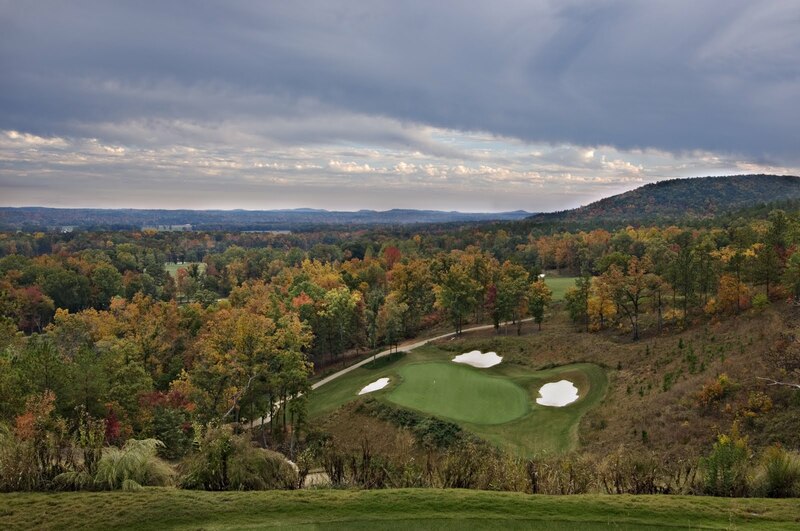 For more information about the Wyndham Cup, visit ajga.org. 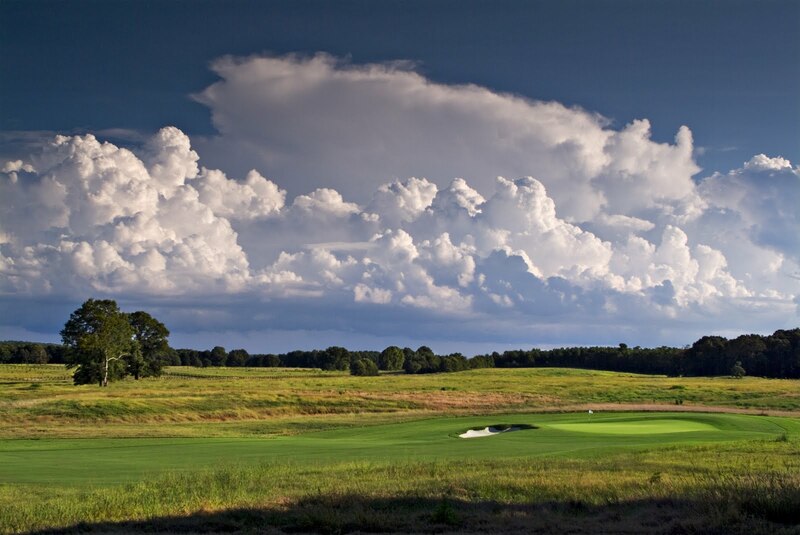 golf course in the middle of Alabama farmland. I'm working on a story for Houston Links and DFW Links on the trip I took last week to the Birmingham area of Alabama. In addition to two Robert Trent Jones Golf Trail facilities, I also traveled about 45 minutes south of B-Ham to a place called FarmLinks. 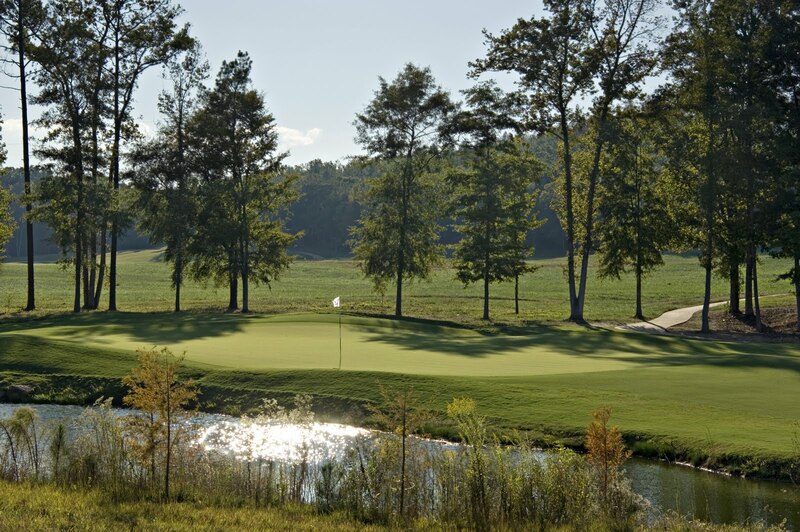 The course is in PGA Tour-like condition, and sits in the middle of a 3,500-acre farm. The club is a living laboratory for the latest and greatest innovations in golf course maintenance equipment, chemical treatments, golf cart technology and so much more. Every year, more than 1,000 golf course superintendents from places like Pebble Beach, Augusta National and Pine Valley come to FarmLinks to learn ways to improve their courses. The golf course, a Hurdzan-Fry design, is tremendous. Plenty of elevation changes and not a ho-hum hole in the loop. They have 11 different types of grass on the course. You'll play out of a Bermuda fairway one minute and Zoysia on the next hole. One of the par 3s features the newest, salt-water resistant strain of Paspalum that you see on many oceanside courses like Muana Kea Country Club in Hawaii and Moody Gardens Golf Course in Galveston. The story about the family who owns it and all they do there might be even better than the golf. You'll have to pick up a copy of Houston Links or DFW Links to learn more about that. The accommodations are first-class (cabins and cottages stocked with flat-screens and an immaculate bentgrass putting/chipping green three steps off the back porches), and in addition to golf there is hunting, fishing, trap shooting and hiking. Breakfast, lunch, snacks and non-alcoholic beverages are all included in the green fee, too. It’s not a ham sandwich in a box, either. We sat down like a family and had ribs, grilled chicken breasts, fresh corn on the cob, cornbread and homemade cookies for desert. And that was at the turn from No. 9 green to No. 10 tee. I’m working on a 2,000-word story on the experience for the magazines, but I’m not too proud to admit that pictures can tell a better story than words alone. Check out these images, and for more info go to http://www.farmlinks.org/. 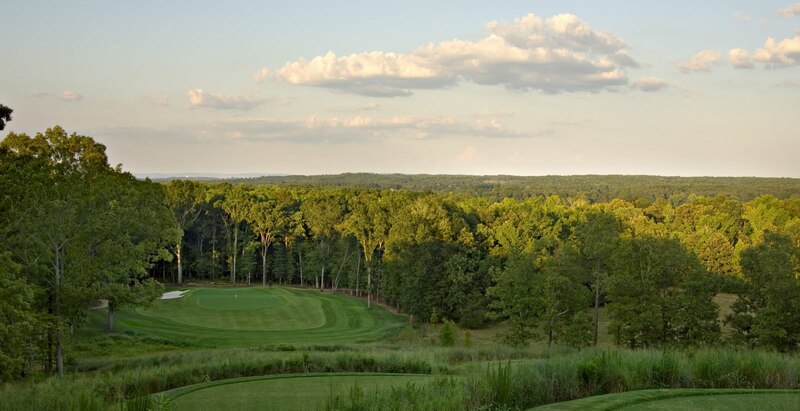 Stay tuned to read about this amazing, spiritual spot in an upcoming issue of Houston Links and DFW Links magazines.﻿ With plenty of direct flights from DFW and Houston to Birmingham, FarmLinks is an Absolute Must Play. 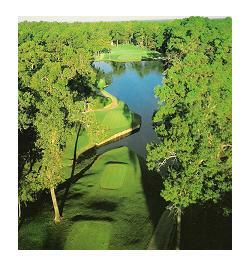 Since it opened in 1979, Lufkin’s Crown Colony Country Club has been regarded as one of the jewels of Texas golf courses. The Bruce Devlin-Robert von Hagge track is short, tight and stunning. Typical of von Hagge tracks such as Walden on Lake Conroe (a personal favorite) and the Club at Falcon Point (which is featured in the July issue of Houston Links), Crown Colony features plenty of knobby hills and thought-provoking doglegs. The Dallas Morning News consistently rated it as the No. 1 course in the state for many years before the modern golf course boom of the 1990s. Many a talented golfer have said it’s one of the toughest 6,700-yard courses they’ve played. Scott Verplank won the 1982 Texas State Amateur there, and Chip Stewart won the State Am at Crown Colony in 1998. Both shot even par for 72 holes to win. This course will test every club in our bag. They added new Champion Bermuda greens last summer, and trust me, they’re rolling fast and pure. It’s a great time to play the historic track, and here’s the perfect opportunity. There are a few spots remaining in the annual Crown Open golf tournament in two weeks – July 15-17. For $450, you can register your two-person team to compete in the 36-hole, two-person scramble event. The fee pays for both players and includes a Friday practice round, networking mixer Friday night, cart fee, range balls, mulligans (what are those?) and both rounds of the tournament with lunch both days, too. Believe me, this is a great value. In fact, I’m leaning toward prying Chad Sullivan off his couch to try and redeem ourselves after our pitiful final round at the Firecracker Invitational at Sugar Creek CC in Crockett last weekend. With his long drives and my deft short game ... surely we can place in the top 20 somewhere. To register your team for the Crown Open, July 15-17 at Crown Colony Country Club in Lufkin, send an email to bburns@crown-colony.com or call the pro shop at 936-637-8800. 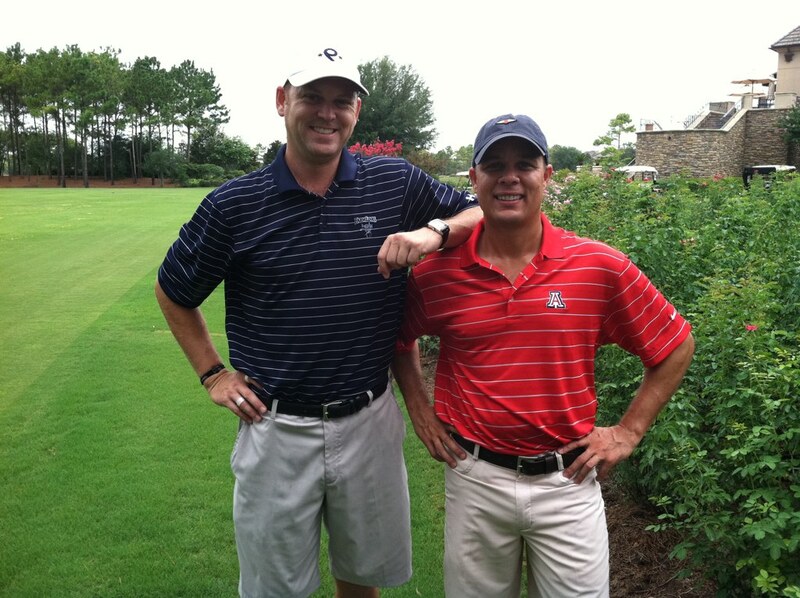 PS -- The July issue of Houston Links and DFW Links will be at your home golf course this week. Please pick up a copy and spend some time reading it. We have some great stories in there, including a feature by Pat Wheeler on DFW's three national champions: Carolyn Creekmore, Mina Hardin and Anna Schultz, all of whom have won the USGA Women's Senior Amateur. I suppose the good news is that I don't have to worry about giving up my amateur status. We didn't win a dime. Instead, we got beat by a guy named Booger. He picked us apart. Chad and I entered the final round of the Firecracker Invitational at scenic Spring Creek Country Club in Crockett, Texas, with the highest of hopes. We left with the sting of humility. A final round 74 sent us spiraling down the leader board. At least we didn't have to stick around to see if we finished in the money. After a couple early bogeys, we got it back to 1-over after Chad birdied our 12th hole. But fatigue (and inexperience, honestly) took over. Our last four holes went bogey, bogey, double-bogey, par. The double happened when I tried to hit a cut 3-wood from the trees on a long par 5. My ball flew into a pine tree and apparently never came out. We never found it, and no one saw it fall. Maybe a squirrel grabbed it and held on. Our final round got off to a rocky start on the first hole. We began on the seventh hole, a 320-yard par 4. Chad drove his ball into a greenside bunker. That wouldn't have been so bad if his ball hadn't come to rest in a footprint of a guy in the morning wave who needs lessons on raking sand traps. I was in the fairway but my approach bounced over the green. That was a common refrain for the day. The greens at Spring Creek were firm to say the least. It's a short course -- only nine holes, but each has two sets of tee boxes to give a different look on the second time around -- and the greens are hard and severely sloped. We made bogey on our first hole, but I saved par on the second with a 6-footer. Yes, I left my chip shot six feet short. But it was uphill and I rammed it in the middle of the hole. I thought we were settling in for a successful final round. It just never happened. The greens at Spring Creek were the death of us. Still, it's a most excellent track to play. Challenging, yet playable. You can make anything from eagle to triple bogey on all the par 4s and par 5s. The par 3s might be among the most challenging I've played in a while. No. 8 is only 150 yards (for now: I saw a new, back tee being grassed; it'll be ready soon). The hole is uphill all the way, and you're lucky to see the top half of the pin. It plays up to a club and half longer, depending on the wind. The second hole, another par 3, can stretch to 210 yards with a back pin and back tees. It's a short course that gives you all the golf you want. That's a rare thing, believe me. You get the picture here: Spring Creek is a fun loop, but it's also damn hard. I’ve always said the most difficult task for a golf course designer is to create a difficult, short par 4. Spring Creek CC overflows with demanding, short par 4s. You don’t have to hit it long, but you better hit it straight if you want a chance to make par. As with most courses, putting is everything at Spring Creek. Then he stabbed us in the heart and poured in another 20-foot birdie putt. That’s the main reason why Booger (that was only his nickname, by the way) was the defending champion in our flight. The guy made every putt out there. They deserved to win. By the final few holes, Chad and I were pulling for them. 1. There's a reason I write about golf for a living instead of playing it. 2. Playing golf with your friends for fun and competing in a tournament aren't even close to the same thing. They’re practically two different sports. I can't remember being more nervous than standing over my ball on the first tee in the first round. People watching, money on the line ... I almost missed the ball. 3. I have renewed respect and appreciation for all the men, women and junior golfers that I cover in high-level competitive tournaments. Besides having a blast playing with Chad while our friends and his family members watched us, the next best part was the experience of being completely exposed on the golf course. There is nowhere to hide in tournament golf. It makes me marvel at all the amateurs and professionals about whom I write on a monthly basis. And it's time to get back to writing about those who actually excel and thrive under the white-hot spotlight of tournament play. The U.S. Junior Amateur and U.S. Girls Junior Amateur will be played in a couple weeks. More than a dozen Texan boys and girls qualified for the USGA national championships. Hopefully one of them brings home the coveted title to Texas. I had my moment on stage. It's time to focus on those who chase birdies and capture them in the most intense competitive environments. Please pick up a copy of the July issue of Houston Links or DFW Links to read about people who play the game a whole lot better than me. Chad and I had front-row seats to watch our flight's winners. Chad helping me count our strokes. We made 7 on a par 5. Oops. It was narrower than it appears. I couldn't make a putt all day. I've been told Chad can dance the two-step like a pro. Carroll and Dorian Sullivan, Chad's parents & our gracious hosts. He doesn't get cheated with the driver. Spring Creek CC clubhouse from the 9th fairway. Gorgeous club, super-friendly membership. Hopefully I get invited back next year. Congratulations. You're among the first to read the genesis of Button's Blog: Chasing Birdies. In this space, I'll write as often as possible, mostly about golf in Texas. The goal is to entertain (and possibly) enlighten you on the Greatest Game Ever Invented as its played in the Greatest State in the Union. Texans tend to brag a little, you understand. While I'm not a native Texan, I've lived in the Lone Star State for more than 12 years in three different cities. I call myself a "naturalized Texan." Yes, I got here as fast as I could and I don't plan on leaving anytime soon. I'm writing today from the beautiful, spacious Sullivan Compound near Crockett, which is close to Lufkin. Sort of, anyway. I'm somewhere between Dallas and Houston in the Great Wide Open. It's mostly cattle and countryside ... and it's beautiful. At night, the stars light up the sky like a million night lights. I've been talking about starting a blog for about five years. I stood on the cliff of blogdom and looked out at the vastness of it all. I wanted to take the plunge but something always stopped me. Fear, I suppose. Of the unknown. Of the commitment. Of setting the damn thing up. And picking a name for it. Encouraged by good friends, I took the leap this morning. Much thanks to Sharon, Supawn and Chad for the shove off the cliff. It's what I needed ... and isn't that what friends are for? So ... about the title to this entry. Today is the final round of the 38th Annual Firecracker Invitational at historic Spring Creek Country Club in Crockett. Chad Sullivan and his father, Carroll, have been members there for years. Chad invited me to play on his two-man team for this year's tournament. It is a 54-hole, best ball affair. Chad and I are in the Second Flight, with all the other high-single-digit handicappers. When we tee off today at 1 p.m., we'll be two shots off the lead in our flight. 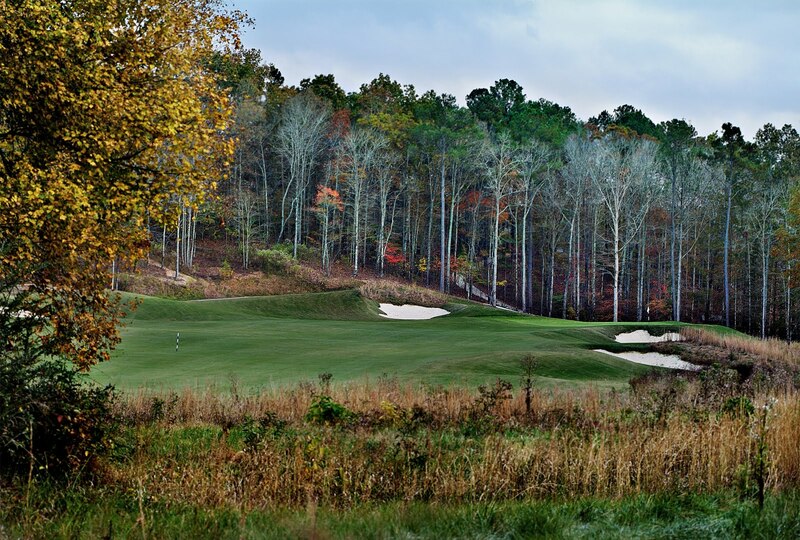 The tight, tree-lined Spring Creek course is a par 70. Through 36 holes, Chad and I sit at 2-under 138. That's damn good, too, considering we bogeyed three of our first four holes in the first round. Worse, the one hole we didn't bogey in our pitiful start was a short par-5. A par on that hole amounted to another bogey in reality. Any team hoping to win will birdie that hole. Since that tragic start, however, we played the next 32 holes at 5-under par. We shot 67 yesterday and made our charge near the top of the leader board. That short par-5 we parred in the first round? Chad eagled it yesterday. Chad hits the ball into next week, but sometimes it doesn't go in the direction he planned. When it does, we're looking at birdie or better. I'm a little more of a tactical golfer. Fairways and greens are my gig. So it's my job to make pars and sneak in the occasional birdie. Chad plays hyper-aggressively, not unlike Phil Mickelson. He's trying to birdie every hole. Well, that's not really true. Chad is trying to eagle every hole. We make a damn good team. I'm thinking another 67 today will get it done for us. But 65 would be better. So what's at stake in all this? Besides pride and dignity ... a lot of freaking money. There was a huge Calcutta the night after the first round. This is serious business. I've been told there will be a small, but vocal gallery following us today. After covering golf as a job for all these years, I'll get to experience (in a very small way) what it feels like to play the game I love while people watch. Hopefully, my next post will detail how Chad and I won our flight and took home the truckloads of cash on the line. Thanks for reading. I'm off to chase birdies.